A genie in a barrel—this promotion works like magic! We all make mistakes—but this erasable highlighter helps you clean them up like magic. Correction ink at the opposite end of the chisel-tip highlighter clears accidental markings. But the bright fluorescent ink highlights important topics and titles just as you’d expect. 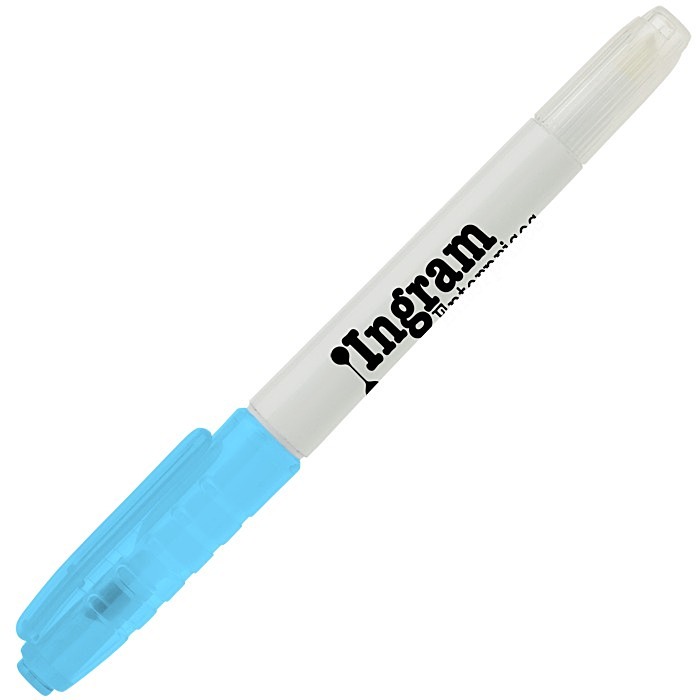 Crisp white barrel is topped off with a vibrant colored clip cap that matches the ink color. A clear protective cap at the other end deters the correction ink from drying up.